Do you care about your local community? Are you tired of shopping in the same big multinationals? Do you love living here and want to be able to afford to live here? Then get the South London Club Card and support your local independent businesses. The Lewisham Arts Cafe is a multi-faceted creative enterprise operating in Manor Park opposite Northbrook Road, Hither Green. Situated in the smaller, less renowned and in some ways more beautiful of the two parks with "Manor" in the name, the Lewisham Arts Cafe is well placed to inspire inter-generational involvement in Art, Music and appreciation of our natural environment. But what do they actually do? The concept is simple; offer a large, indoor space for members of the community to use for projects, events and classes, whilst providing affordable refreshments to those using the space and to anyone visiting the park. Yoga Classes in the park on Saturday mornings. Classes are held by local teacher X and all are welcome for a fee of just £5. Live Music on Saturday Evenings. Centring around the genres of Jazz, Samba, Soul and Folk, musicians and spectators are all welcome. Entrance is usually free or minimal. As well as organising the running of these classes and events, Fred and Banu, the pair behind this inspiring venture, are committed to inclusivity and pay strong attention to the wants and needs of children, parents, the elderly and the disabled. The Park's enclosed play area and wealth of toys, games and resources for children to get creative with will likely keep your little ones entertained for hours; allowing you to relax in the park with other local parents, friends, and amiable park visitors. The Cafe itself is well stocked to keep visitors refreshed and far from hunger. With delightful home-made wraps and paninis, coffees, teas, ice-creams and blended-on-the-spot fruit juices, there is little more you could ask for. There is some seating and tables set out surrounding the Cafe, not to mention the expanse of grass available for relaxing with your food and drinks. 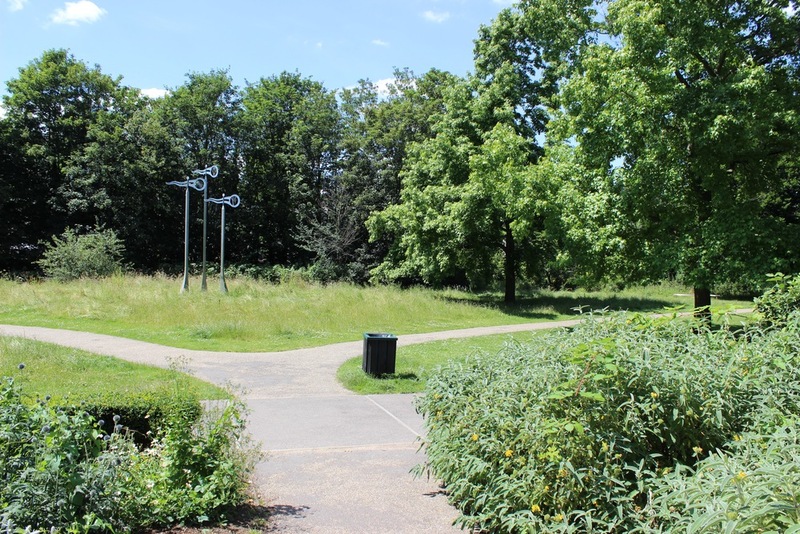 Manor Park boasts some of the most diverse wildlife in the borough, with much of the park and the through-flowing Quaggy River left un-touched and free to grow wild and natural. This has helped to establish the park as an important ecosystem for the endangered Stag-Beetle populations it aims to protect. In fact, the Arts Cafe, along with local Naturalist X, run wildlife & forestry education classes for both children and adults.